A “witch hunt” is now a term that is associated for culprits or criminals when there are none to be found. They are associated with false accusations and exaggerations. This (obviously) derives from actual witch hunts that took place earlier in society’s development. 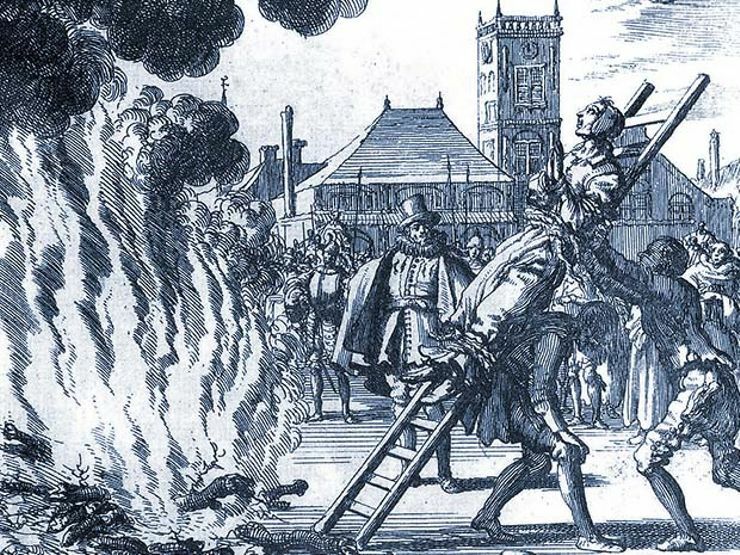 Of course, it’s easy to discredit these witch trials now, these witch hunts seem to be a thing of the past, but there are parallels that can be drawn to today’s problems. They must be remembered, or else we risk repeating similar acts of unjust sentencing. The burning of a man who was charged with heresy during the Spanish Inquisition. The Basque Witch trials occurred in Spain during the Spanish Inquisition in the 17th century and is commonly acknowledged to be the biggest witch hunt in history, with over 7,000 cases being examined by the end. It’s not clear why the witch hunt began, as there were no reports of witchcraft in the area before the trials began. Reasoning can be attributed to the church attempting to suppress old customs and bring Catholicism to the world. There were multiple phases, with the first ending in the burning of 12 convicted witches. As the hunt continued, around 2,000 people, many of them children confessed to being witches and implicated 5,000 more. Almost all of the people who confessed later recanted, saying that their confessions were the result of torture. The North Berwick Witches meet the Devil in the local kirkyard. 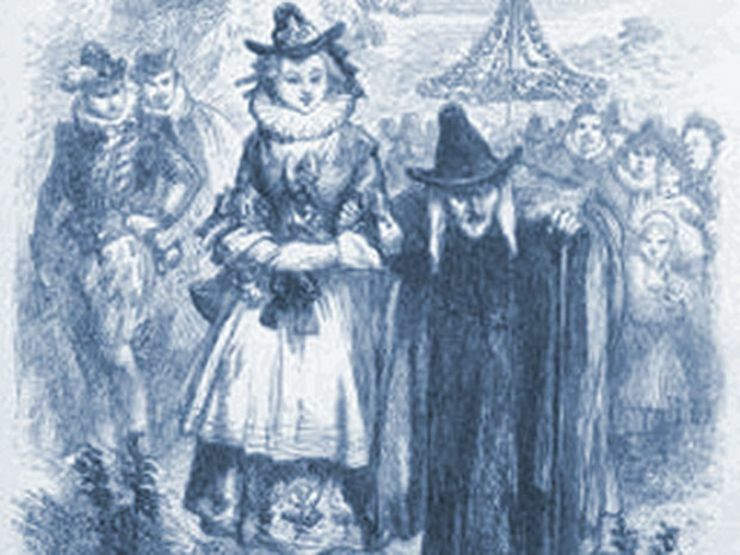 The North Berwick witch trials began in the late 1500s in Scotland, and lasted for over two years, ending with 70 people accused of making “pacts with the devil”. It began when King James VI, on his return journey from Denmark encountered a storm. An officer on the ship blamed the freak weather on witchcraft. Witch hunts were launched in Denmark, but quickly moved to Scotland when implications started to point to Scottish women. From there, these trials played out like many witch trials. One person would be tortured, eventually admit to being a witch and then name other conspirators; rinse and repeat. Many were accused and many were burned at the stake, all because King James VI had a choppy ride to Denmark. 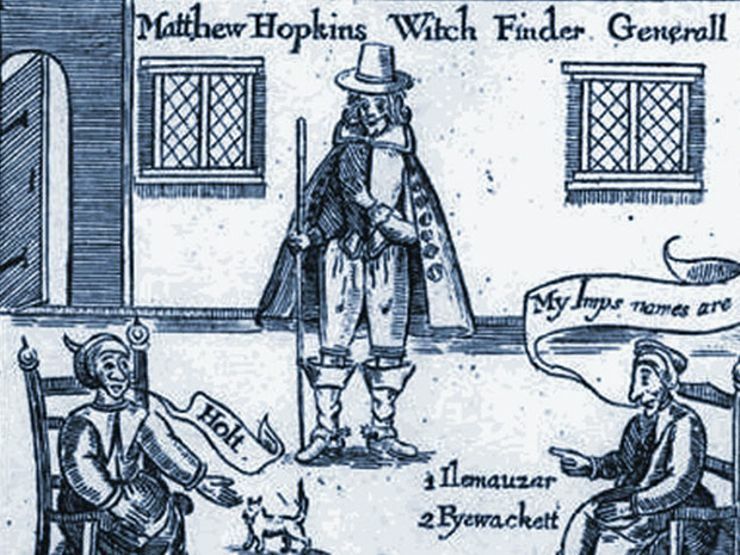 Matthew Hopkins is one of the most accomplished witch hunters in history. Hopkins and his team are believed to be responsible for about 60% of witch executions in England between 1644 and 1646. Hopkins is said to have began his crusade when he overheard women discussing their meetings with the devil. He did not technically torture confessions out of women he accused. Torture was unlawful in England, so he developed his own ways of identifying witches. He used sleep deprivation to extract confessions, and pricked the accused with a blunt knife. If they didn’t bleed, they were deemed a witch. He also used the floating technique, which was that if a person floated in the water, then they were a witch. The accused would be tied to a chair and thrown in the lake. Another identifying characteristic was the mark of the devil. This was usually a mole or a birthmark, but if none was evident there could also be “invisible” marks. Hopkins died in 1647, most likely from tuberculosis. It is theorized that he was subjected to his own floating test and then executed as a witch, but there isn’t much evidence supporting this claim. Two of the accused witches, Anne Whittle (Chattox) and her daughter Anne Redferne. The 1612 Pendle Hill hangings are credited for sparking the witch hunts across England. It began when Alison Device asked a peddler by the name of John Law for a pin. Law refused, but soon after became paralyzed on one side. He attributed this to witchcraft on the part of Device, and Device eventually confessed to making a pact with the Devil. Device then accused a member of Old Chattox, a rival family, of being another powerful witch. The accusations went back and forth, and 19 people were eventually arrested for witchcraft. 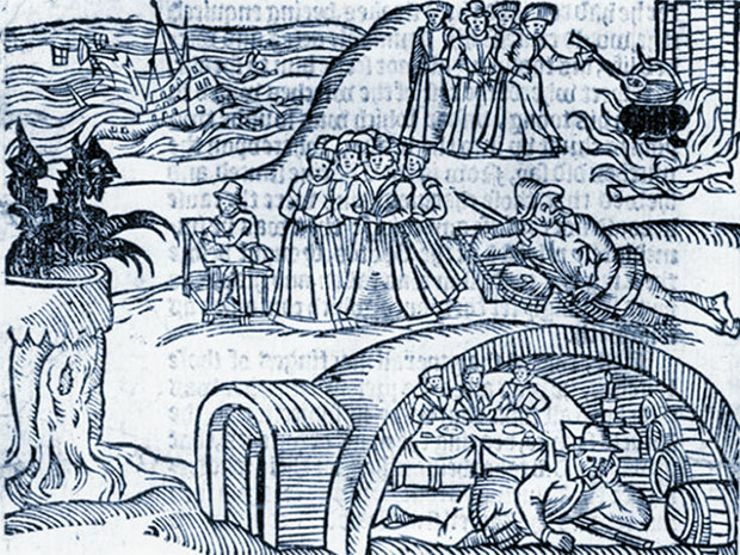 In the end, 10 people were executed for witchcraft, and this began a larger trend of witch hunts across England. Pendle Hill is considered to be the Salem of England, as there are now many witch-related tourism in the area. 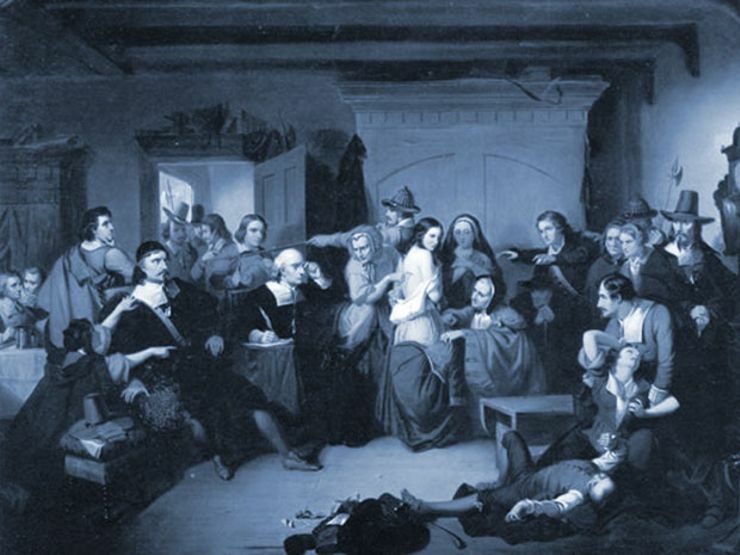 The Salem witch trials are probably the most famous of the witch hunt cases on this list, and remain a reminder of what can happen if hysteria runs wild on a society. The events began with 11-year-old Abigale Williams and 9-year-old Betty Paris, who were experiencing fits that were deemed too extreme to be epileptic. The doctor could find no physical ailments and noticed similar strange behavior in other neighborhood girls. The group of afflicted girls accused three women of being their tormentors: Sarah Good, Sarah Osborne and Tituba. The three were positioned as social outcasts, and fit the bill as “usual suspects” in such a case. From there, the accusation spun out of control with 20 people being executed by the end of May 1693. These trials remain a reminder of what can happen when religious extremism and false accusations run wild.